I have a few glasses I'm having trouble identifying. 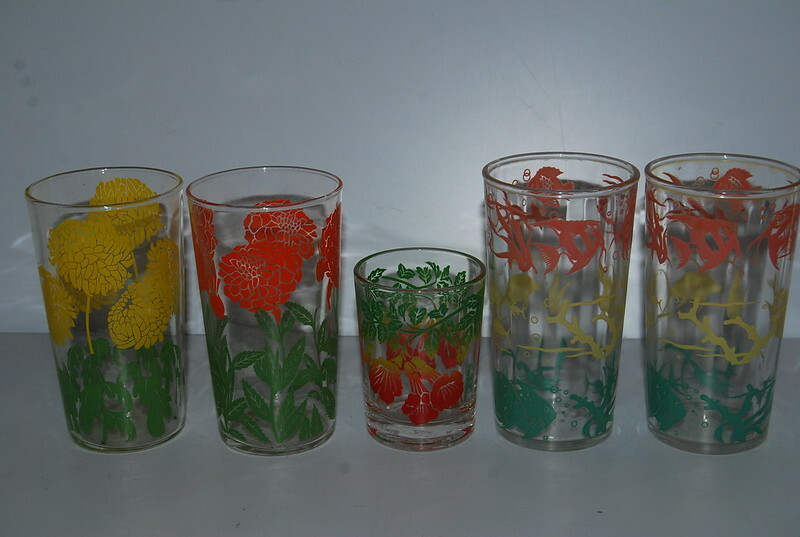 The first two on the left have a script "L" on the bottom (Libbeys. I believe they are either chrysanthemums or zinnias. They are not labelled. The center is made by Federal, possibly a Morning Glory? The last two are made by Hazel Atlas, decorated with fish. I could not find any info on these. Anyone know anything about these?